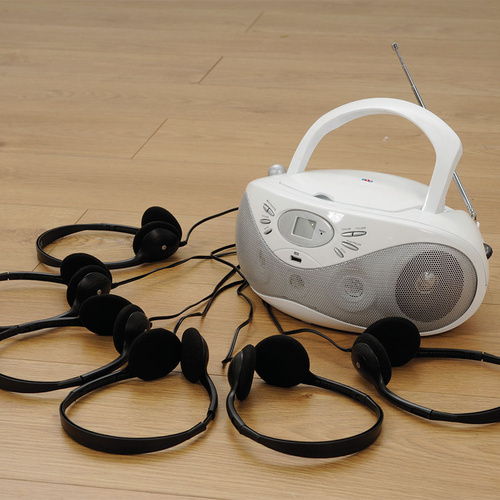 This high quality CD player comes with built in connections for 6 separate headphones (included) so groups of children can listen to music and stories without interruption. 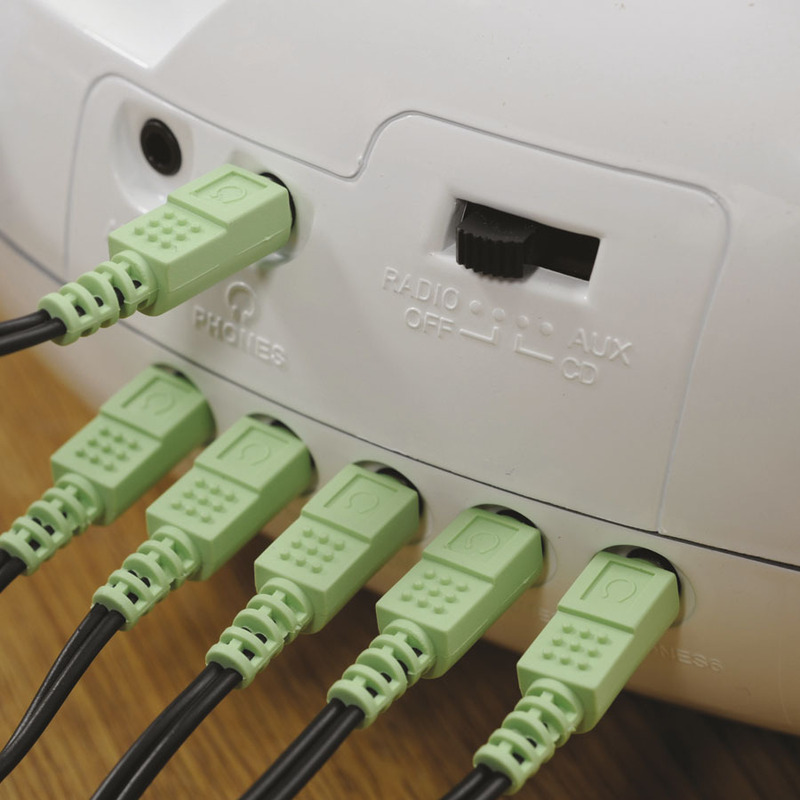 Comes with built-in connections for six headphones so splitters are no longer needed. 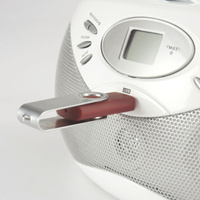 Also includes Radio and Jack for connecting your MPS or smart phone.